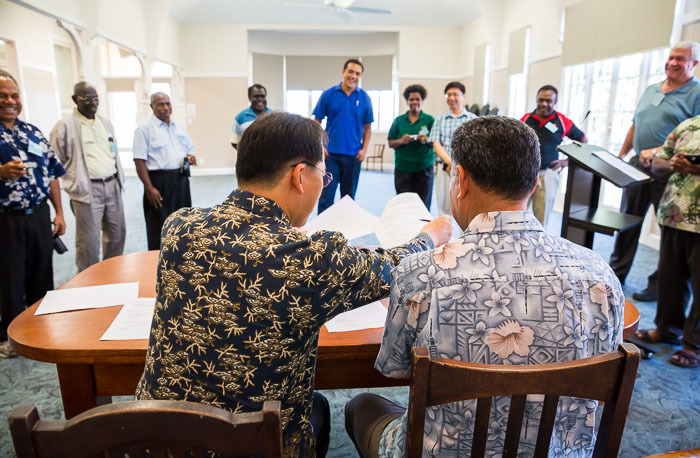 Joy and celebration accompanied the signing of a Memorandum of Understanding (MOU) between the Wycliffe Global Alliance and two independent organisations from the Pacific on 14 August, 2013. 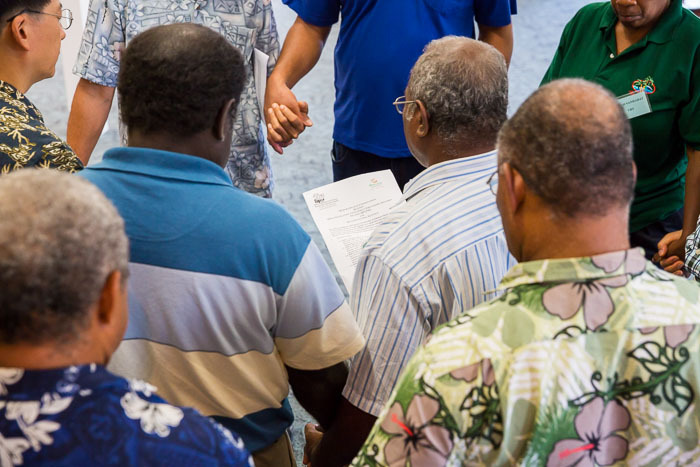 The Bible Translation Organisation (BTO) of Tonga and the Bible Translation and Literacy Partnership (BTLP) of the Solomon Islands joined the growing Alliance at a small gathering in Brisbane, Australia. 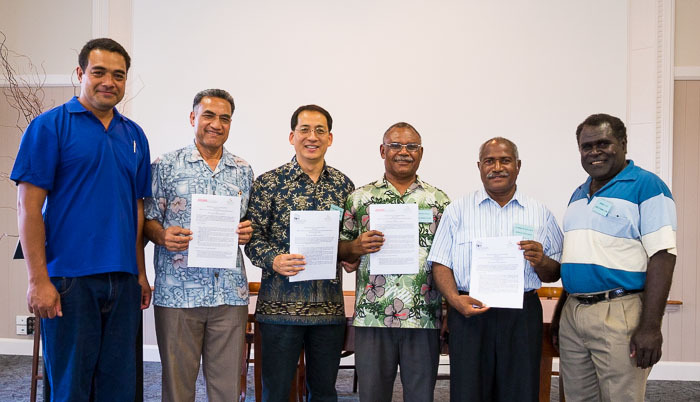 David Gela, Wycliffe Global Alliance Pacific Islands Affairs director, considers this a ‘historic occasion’ since it is the first time that organisations from the Pacific Islands have officially joined the Alliance. The Bible Translation and Literacy Partnership (BTLP) of the Solomon Islands have already been operating for seven years in partnership with SIL Solomon Islands. 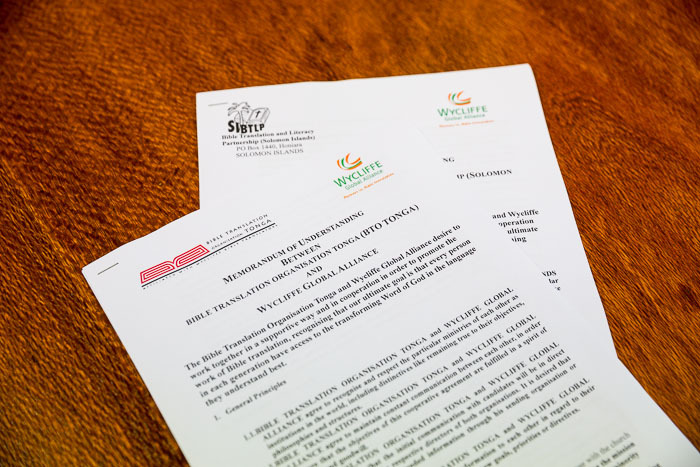 Their commitment to see the work of Bible translation led by local churches brought them into an official agreement with the Wycliffe Global Alliance. David Gela highlights that while these new organisations will benefit from being able to connect and learn from others around the world, more importantly they will “enrich the Alliance with their unique perspectives and richness of fellowship”. This story is published on wycliffe.net and by Wycliffe Australia.